This February 12th – 16th, Mount Everest will be bringing another stadium sale to the Meadowlands. With plenty of days left in the season and just in time for President’s Week, now is the perfect time to grab all the gear you need at amazing prices. We’ve worked hard to replenish our inventory and increase our product offering so there is sure to be great gear for everyone of all ages, ability levels and style. Ski and Snowboard packages start at $250 and every ski or snowboard purchase comes with a Free Lift Ticket to Mountain Creek or Windham, a $10 Mount Everest Gift Card and one free tune-up card that never expires. Great deals on winter outerwear and accessories are abound; with end-of-season-type discounts on current styles and super-discounted stadium-only specials, this sale has everything you need to get kitted from head to toe. Just attending the sale gains you access to additional offers at Mount Everest’s Retail Store. Before leaving the sale be sure to get your hands on coupons that includes a skis or snowboard mount service for $12 (free if you are traveling from NYC), tune-up for $12, and an extra 5% any future purchase. Make sure to join the event on Facebook and follow us on Twitter to stay updated with special Stadium Sale promotions and deals! 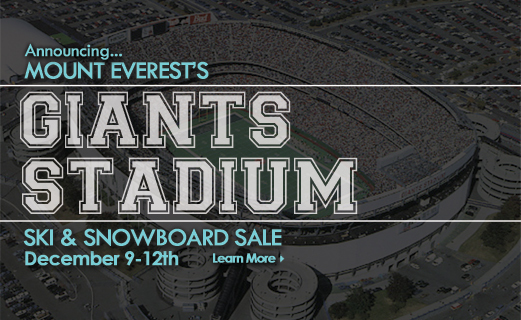 Shop Mount Everest’s Stadium Sale & save up to 80% on everything you need this winter! From December 11th-15th, the Toyota Coaches Club inside MetLife Stadium will be transformed into a full-blown snow shop just in time for the holidays. 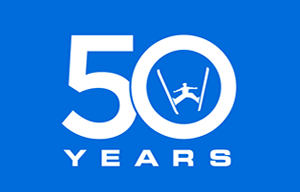 The five day event has a huge selection of skis, snowboards and outerwear at up to 80% off, as well as ski and snowboard packages that include a free lift ticket to Mountain Creek or Windham Mountain. 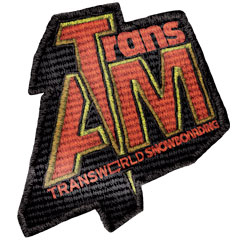 Our expert staff, including industry reps, take the time to fit you with the perfect equipment at the most competitive pricing found anywhere before the holidays. Make sure to join the event on Facebook to stay updated with special Stadium Sale promotions and deals! Next time you’re stopping in, don’t forget to pick up lift tickets at the register to save time & money at the mountain. Don’t have any plans for New Year’s Eve yet? 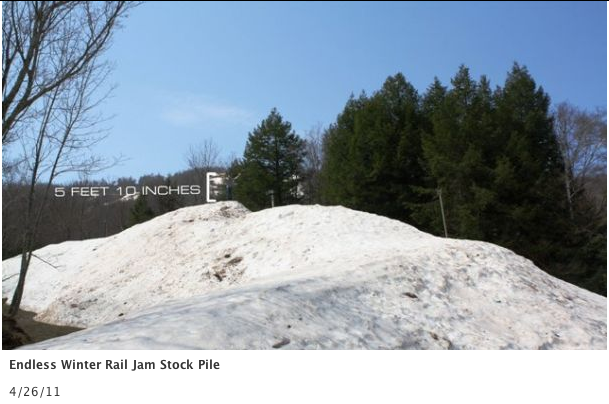 Skip the beach & spend this Memorial Day weekend on-snow – Windham‘s been gathering all their leftover snow to build the last few jibs of this season. 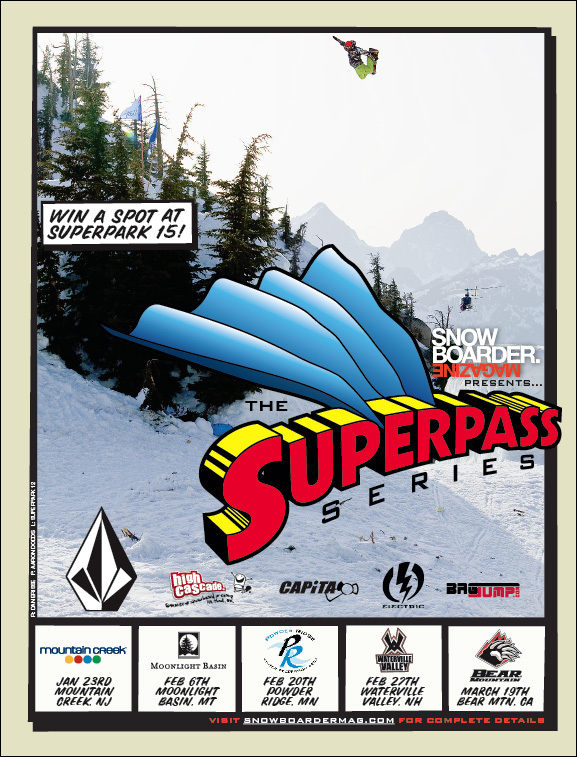 Kick off your summer at the annual Endless Winter Rail Jam this Saturday, the 28th! 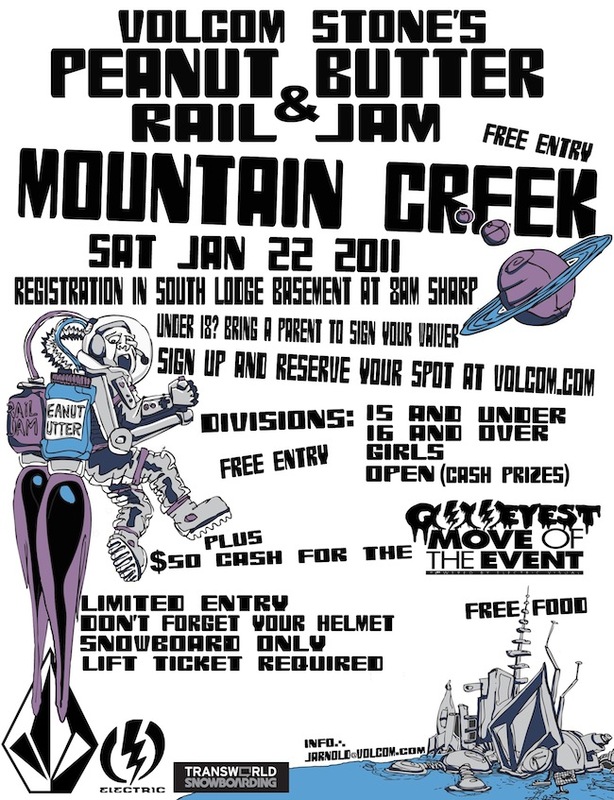 Mountain Creek, NJ: Test the Best Demo Series hosted by yours truly & Volcom’s Peanut Butter Rail Jam…online registration is already closed so get to South by 8am to sign up! Okemo, VT: Gatorade Free Flow Tour gives am riders & freeskiers a chance to go from “Flow to Pro” at its 3rd stop. 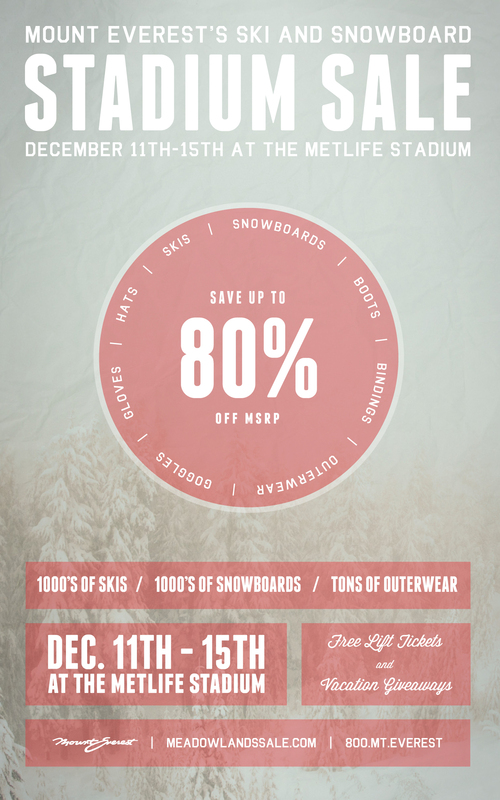 Mount Everest is bringing the NY Metropolitan Area’s largest ski & snowboard sale to Giants Stadium on December 9th thru the 12th. 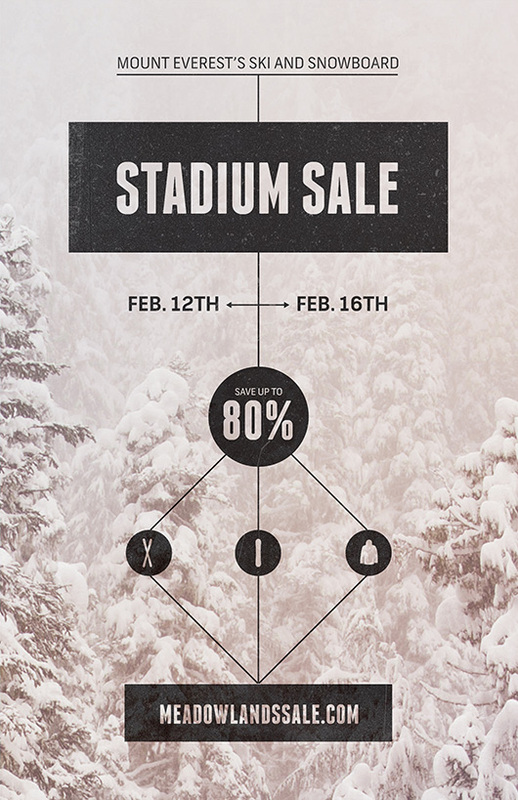 Massive amounts of skis, snowboards, outerwear and apparel will be on sale at up to 80% off. 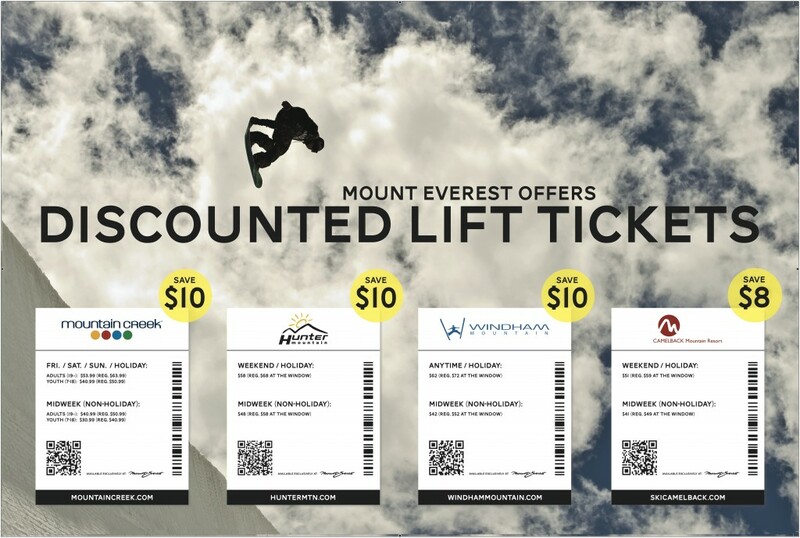 Every ski or snowboard purchase gets a free lift ticket to Windham Mountain and 10 other mountains will have representatives on-site with discounted lift tickets and/or vacations. Telluride in Colorado will be raffling off a free vacation. Admission is free and so is the hourly shuttle service from Manhattan. Check back here for updates or check out the Official Giants Stadium Sale website for more detailed information.